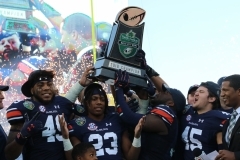 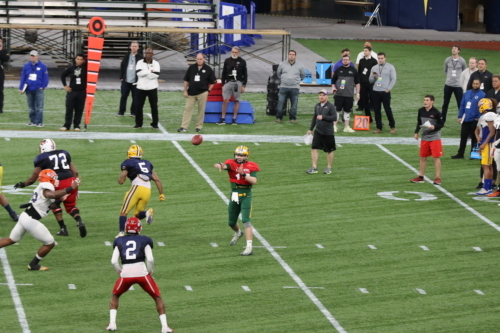 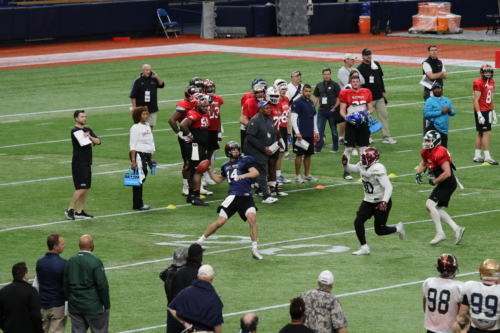 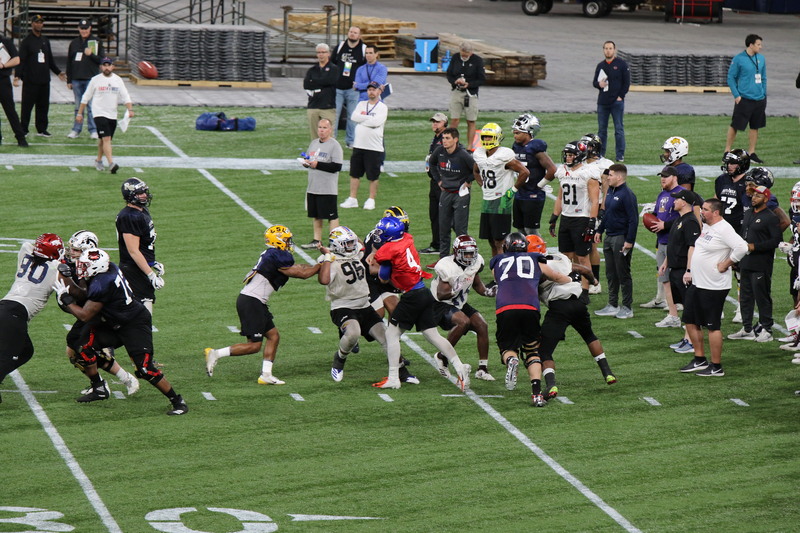 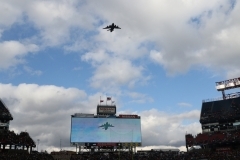 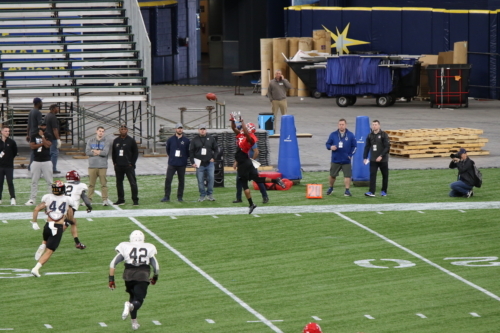 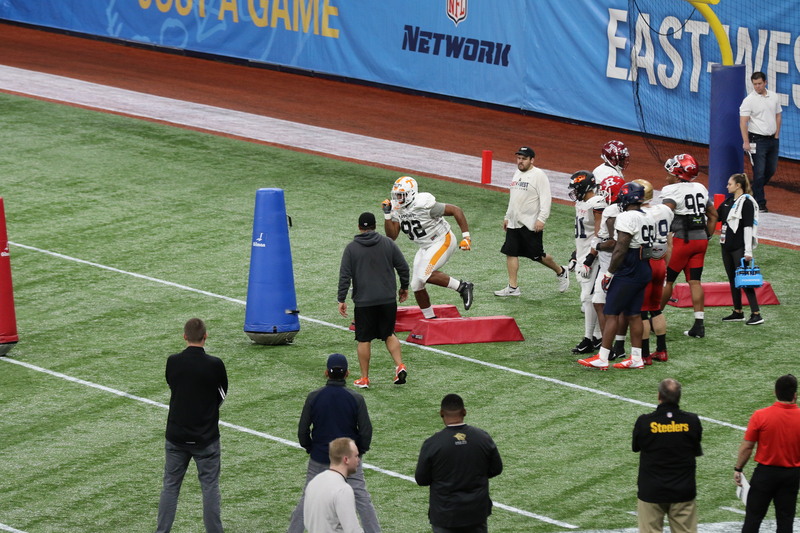 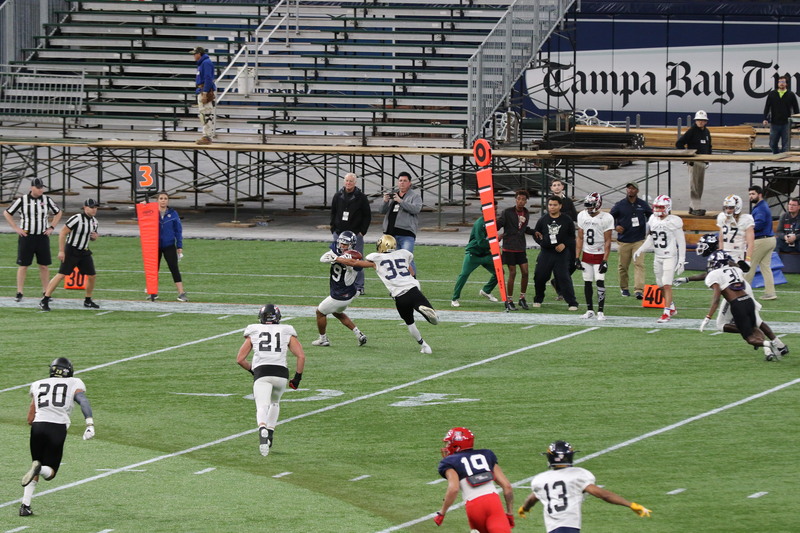 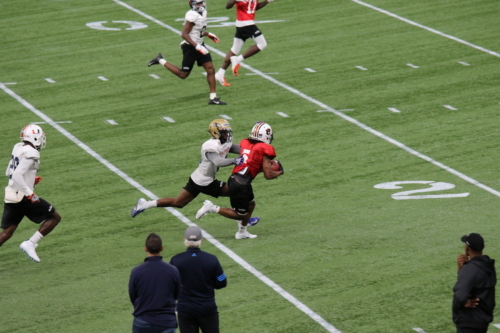 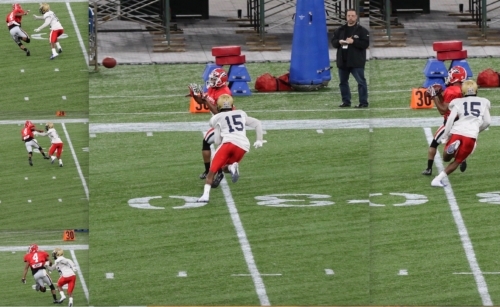 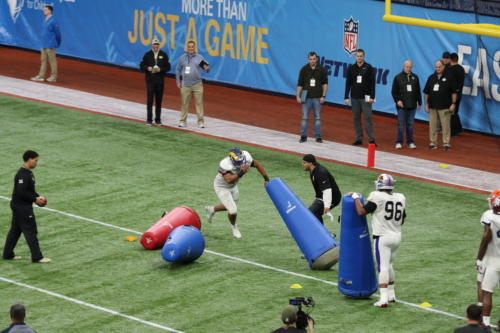 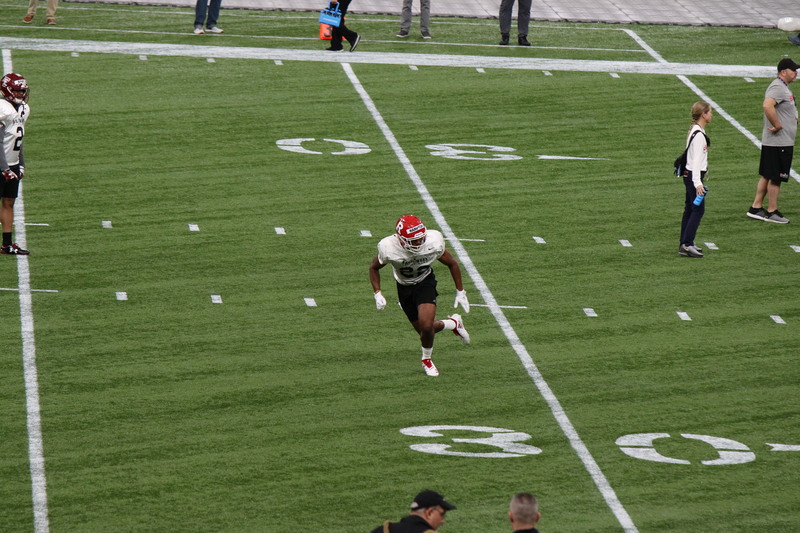 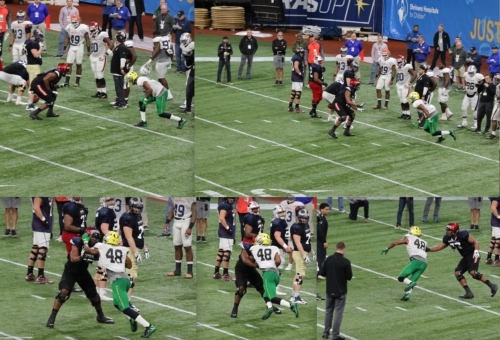 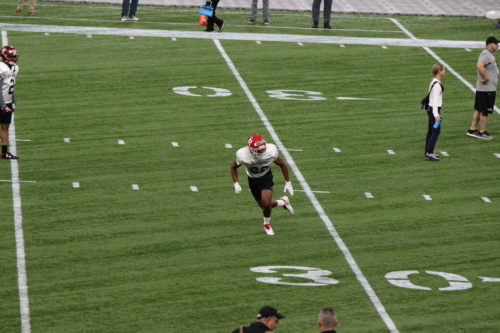 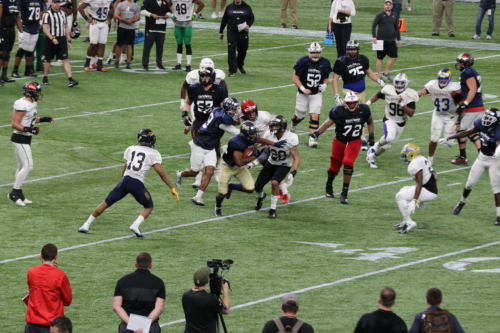 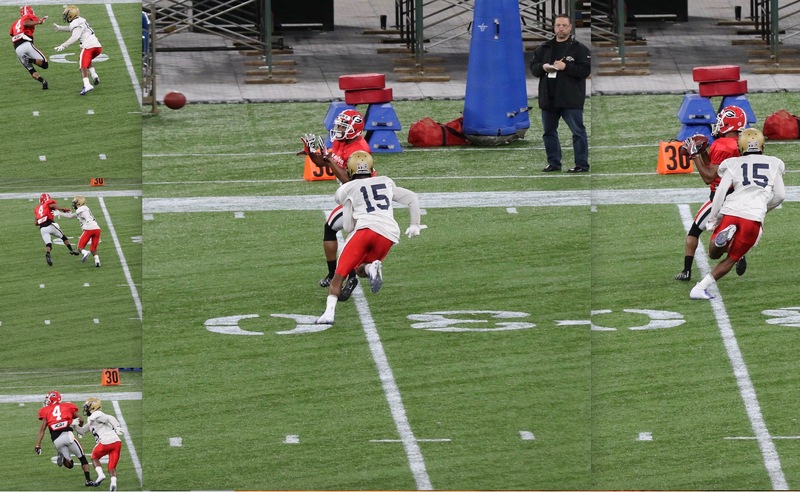 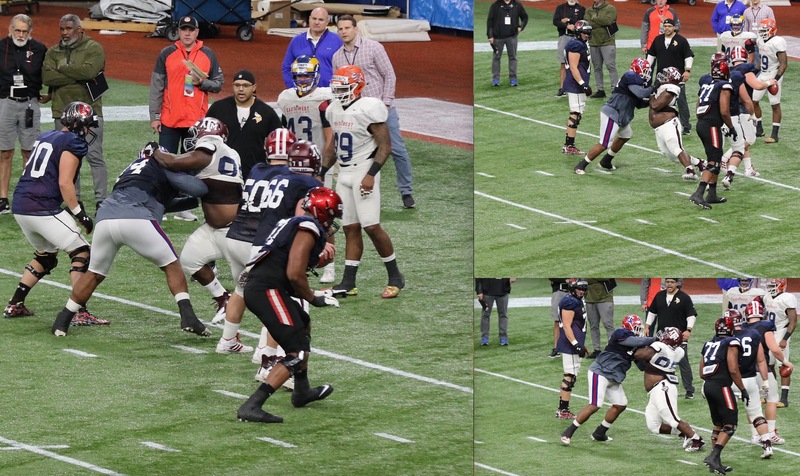 DraftNasty's Corey Chavous takes us inside some of the Day 1 images from the 2019 East-West Shrine practices at Tropicana Field in Tampa, Florida. 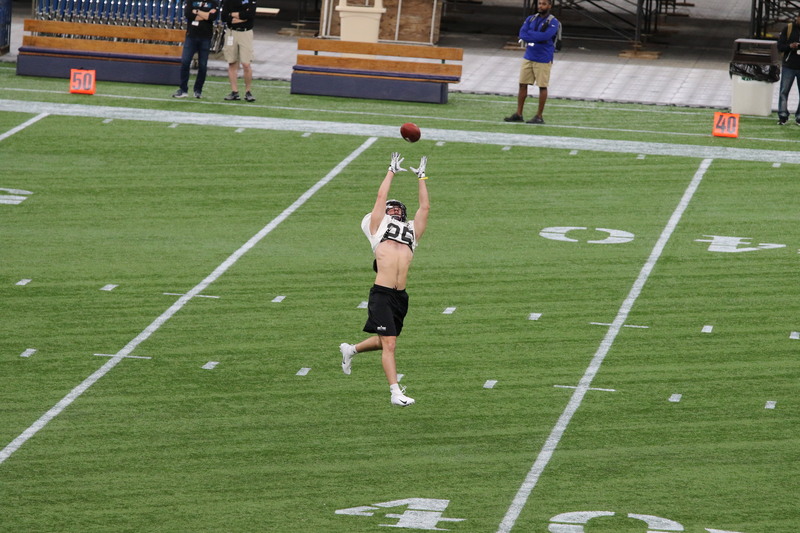 North Alabama's Chris Johnson goes full extension during Day 1 drills. 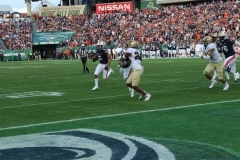 Throughout his career as a Lion, Johnson displayed the ability to get off the hash as a rangy, 6-foot-2, 210-pounder. Georgia's Terry Godwin (No. 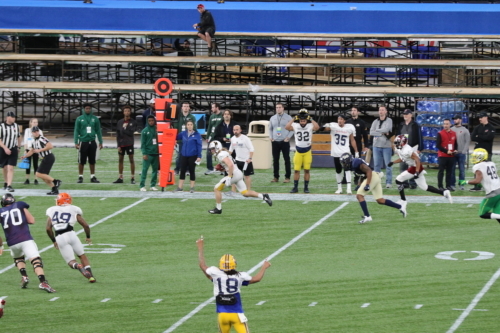 4 pictured) goes full extension for a grab on Day 1 of 2019 East-West Shrine practices. Aside from his ability to win in short areas, the former four-star recruit displayed range as a pass catcher. 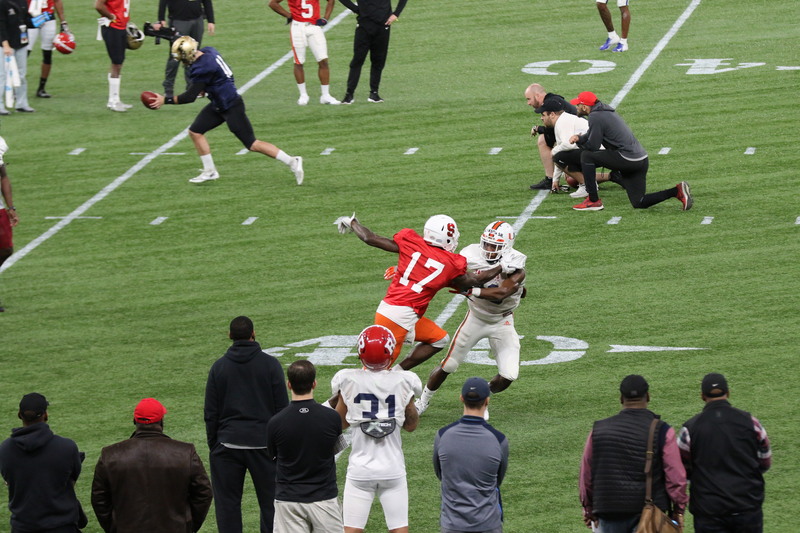 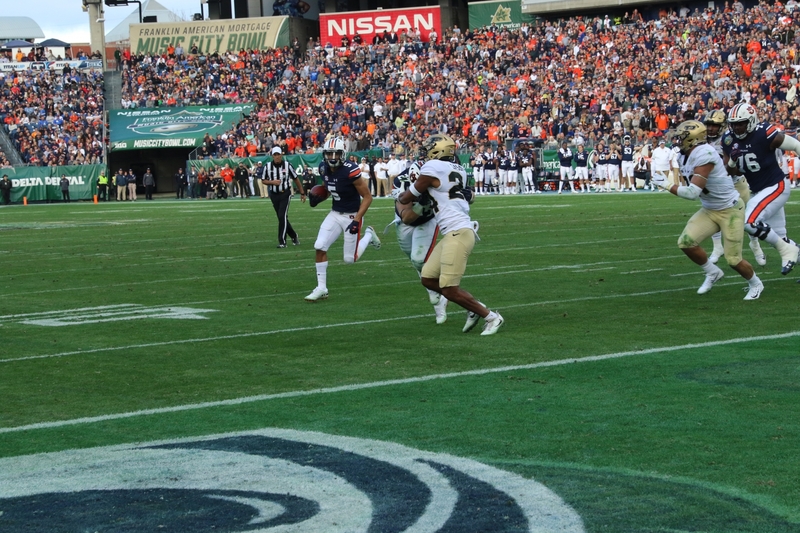 East quarterback and former Oklahoma State Cowboy Taylor Cornelius got outside of the pocket to throw a perfect pass on the move to Auburn wide receiver Ryan Davis. 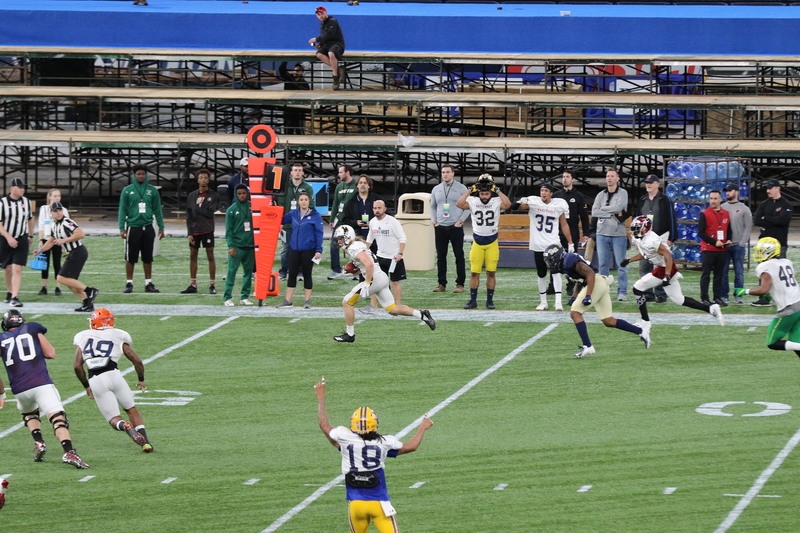 Davis got behind James Madison CB Jimmy Moreland on the play. 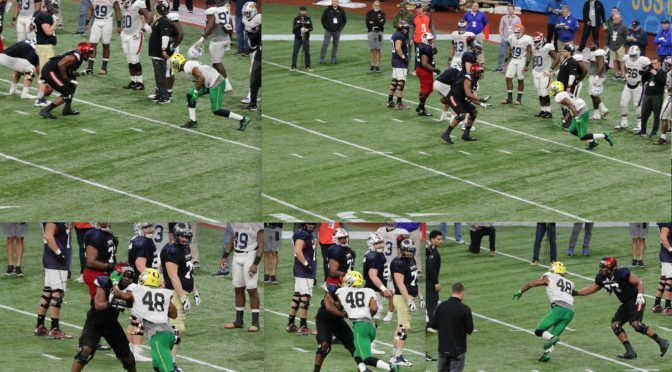 Cornelius was at his best throwing deep breaking square-in patterns most of the day. Despite getting behind Jimmy Moreland on this play, Davis (No. 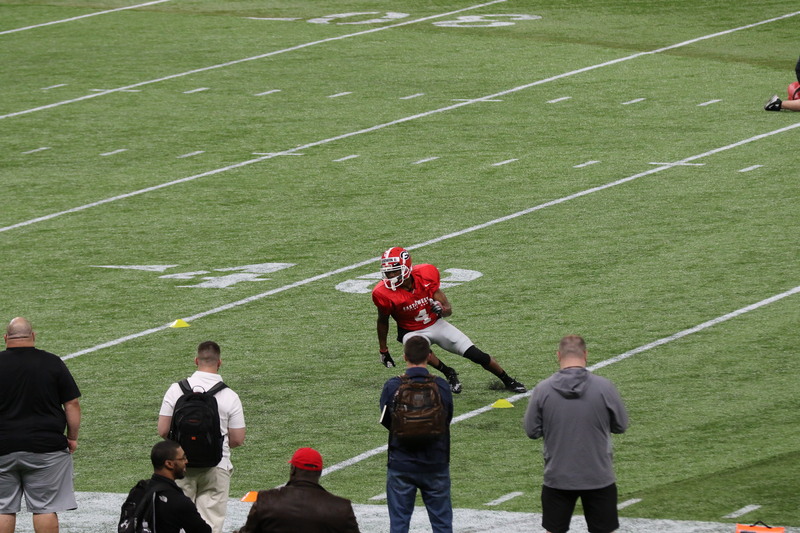 5 pictured) had some issues with his footing and drops during the week. The former Tigers wideout caught 180 passes from a variety of positions during his four-year stay in the SEC. 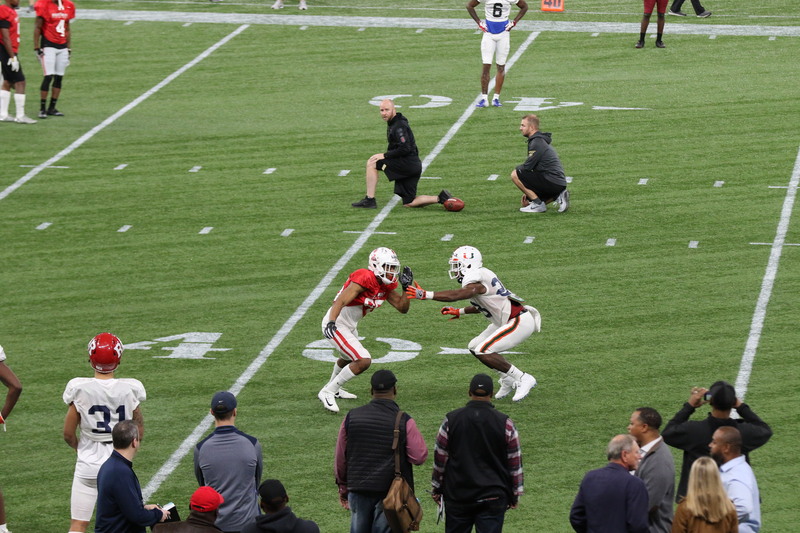 Rutgers safety Saquon Hampton, pictured, did a fine job of breaking on flat routes and filling as a run defender during the week. 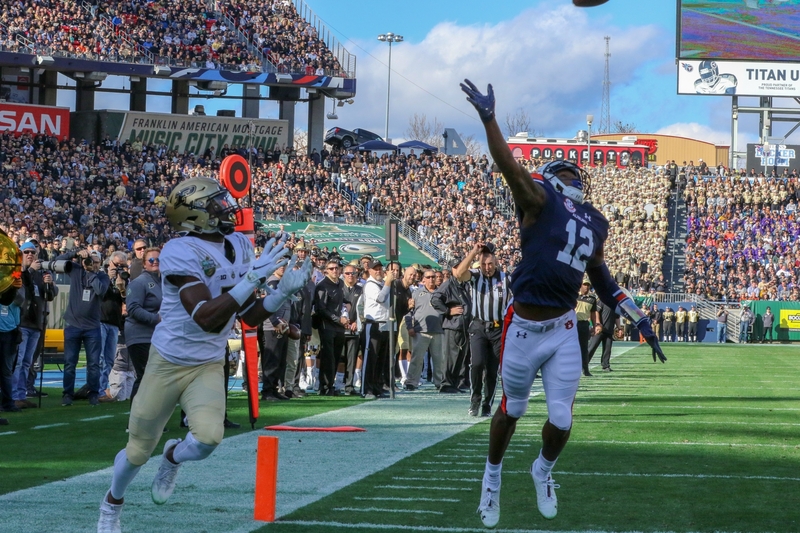 Hampton led the Big Ten with 16 passed defended (3 INTs, 13 PBUs) in 2018. Syracuse DL Chris Slayton displayed an ability to bend his knees during a scoop-and-score drill during an individual period. 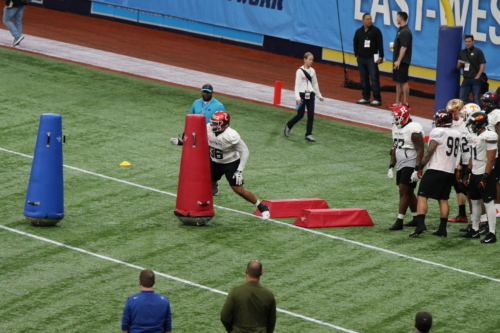 On Day 1, he won across the faces of guards and centers attempting angle blocks and also demonstrated power in one-on-one pass rush drills. 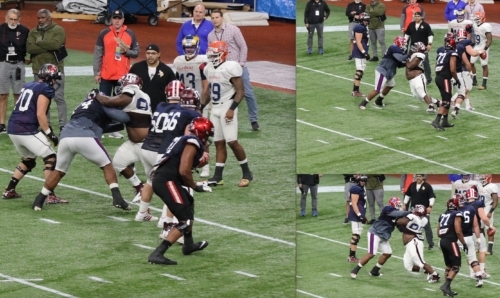 Slayton -a 700-pound squatter- was difficult to block much of the week. 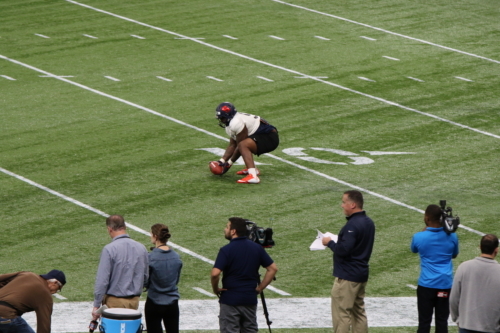 Cincinnati DL Cortez Broughton (pictured doing bag drills) was often run by the pocket as a defensive end, but he used head-and-shoulder quickness to win as a three-technique on occasion. 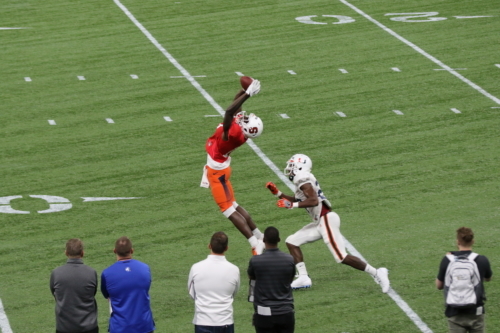 Despite being undersized to a degree, Broughton (6'2, 291) brings scheme versatility to the table with his 81-inch wingspan. 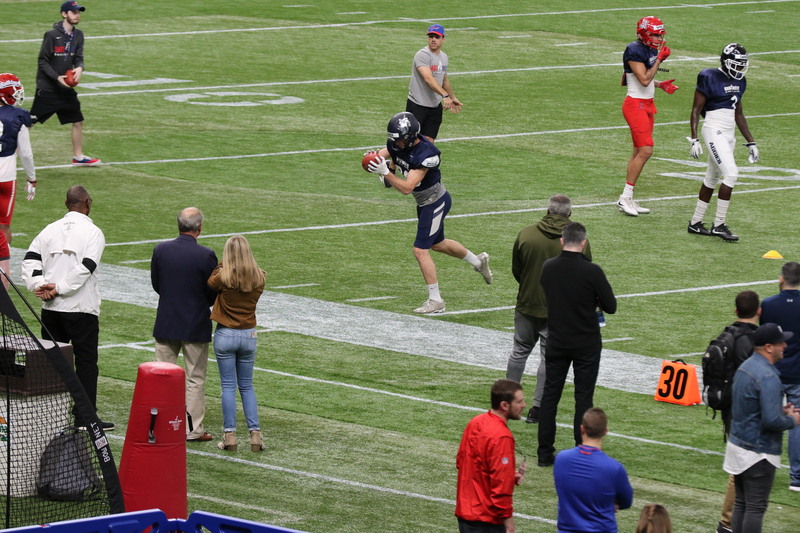 West quarterback and former Boise State Bronco Brett Rypien was effective throwing under pressure during several periods of Monday's practice. 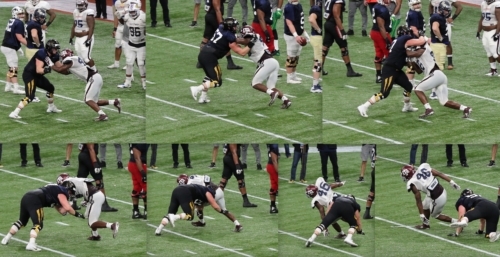 The player about to hit him -Kansas' Daniel Wise (No. 96 pictured)- was the most disruptive West defensive lineman during the day.